Floods can be an overwhelming thing, which is why the water damage Ellisville pros at 911 Restoration Saint Louis are available 24/7/365 to get to you when you need us the most. 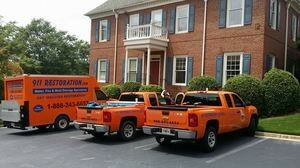 We never want homeowners to have to wait long for assistance, especially if they are experiencing an active flood or leak, so we guarantee an arrival time of within 45 minute to take care of all water related emergencies. With all of our experience in the field, you can feel comfortable calling us any time of the day or night, and we will be at your doorstep as soon as possible, ready to get to work! Our Ellisville water disaster agents use all the resources at their disposal to safely and thoroughly clean, sanitize and deodorize the affected area, leaving you with a sparkling clean home. Our IICRC certified Ellisville water emergency team knows that there is more water damage than just sucking up moisture with a wet vac. 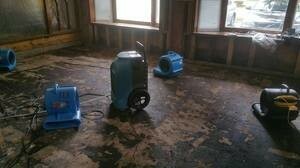 There are other instances of water damage that require more attention, such as a sewage backup. The gray and black water that are emitted from a sewage overflow can be hazardous to your health. 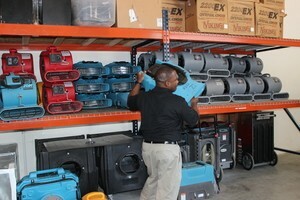 This is why it is important to call experts with the correct gear to come clean up the situation. Call us when you need help dealing with the most egregious water issues, and the Ellisville flood mitigation techs will assist you immediately. To best start the financial process, it is a good idea to go through your insurance company. When you reach out to the Ellisville plumbing experts, we will walk you through the insurance procedures and show you exactly what needs to be done to file your claim correctly. Homeowner’s insurance usually aids with water damage caused from inside the home, while flood insurance will help with rising water from the outdoors. Your coverage will depending on the situation and what type of insurance you have. We want you to know that no matter what your situation is, customer service is important to us, and we want to ensure that you get the coverage you are entitled to. We know exactly what should be included in your insurance claim, and when you let our Ellisville flood damage restoration experts file for you, then you are giving yourself the best chances at reducing your out-of-pocket expenses. 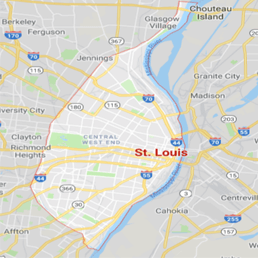 Call our water damage Ellisville team with 911 Restoration Saint Louis at the first sight of water damage, and we will take over the entire process for you, allowing you to experience a fresh start today!